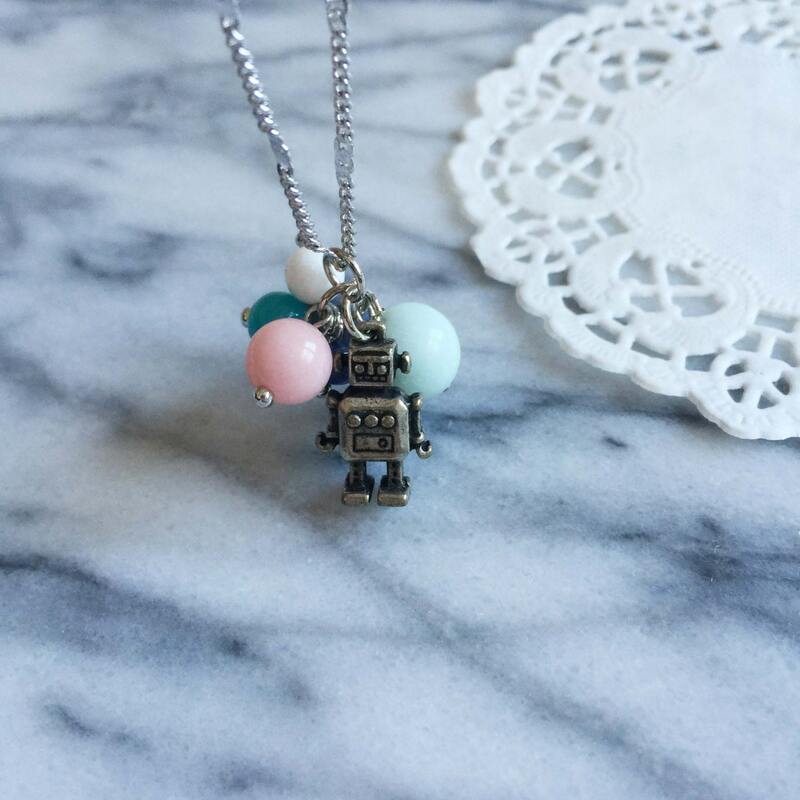 Robot with glass beads charm on silver shiny chain. 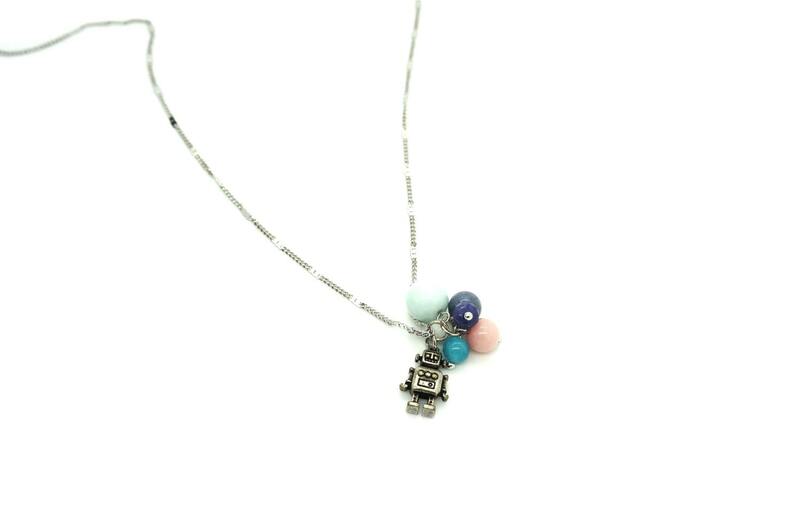 Geeky robot charm is lightly antiqued. 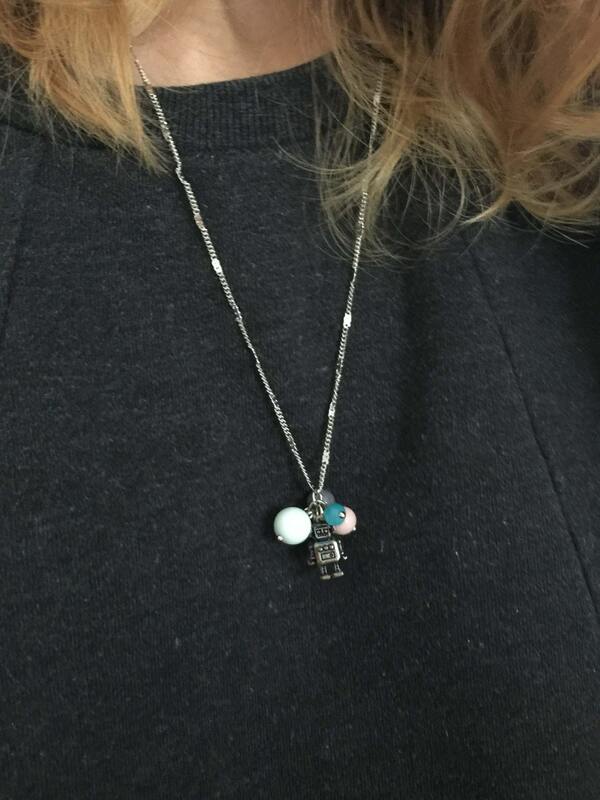 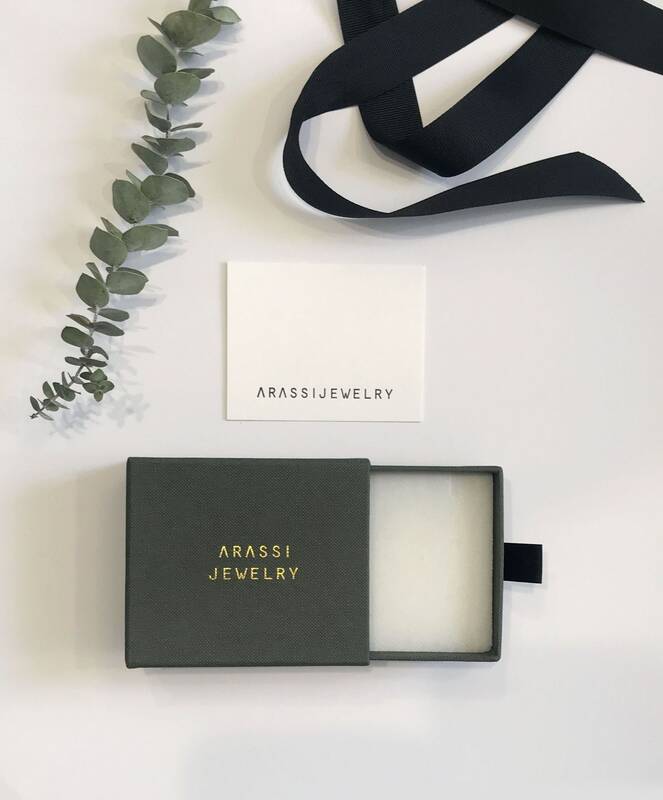 Necklace Length: 18" 20" 22" 24"